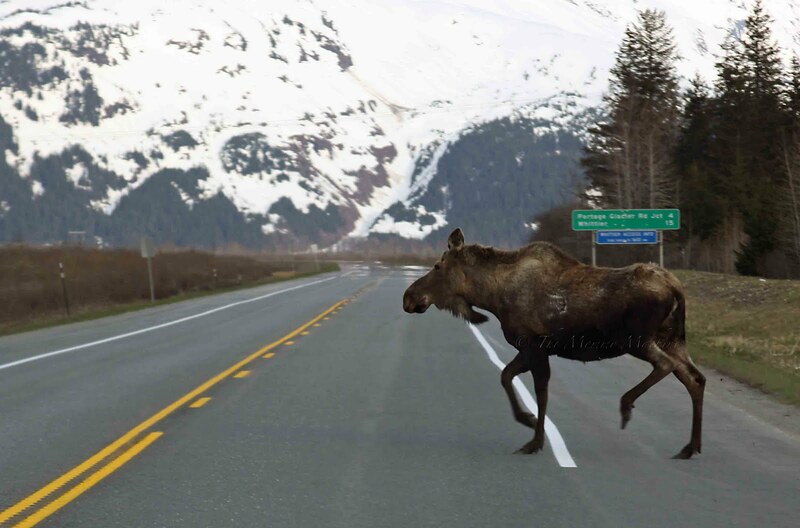 Alaskim | Surviving Wildlife, Wildflowers & Wild-Haired Children: Why Did the Moose Cross the Road? I choose "C". And the mushroom-stuffed meatloaf sounds pretty fabulous, too. That would scare me. I guess it's the element of surprise. My friend lived in Alaska years ago and she said this happened all the time. This reminds me of the Mythbusters episode about how to survive a moose crash. This would scare me. It's meatloaf night tonight here. My son has been begging for it. I panic when a deer crosses the road in front of my car. I might have a coronary if something that big did. tee hee -- you know I love your moose posts!